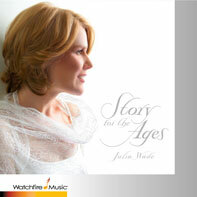 Julia Wade’s album, Solos, with lyrics from the prose writings of Mary Baker Eddy and music by Peter Link, is a ground-breaking 12-song recording of solos for church soloists and an international listening audience. 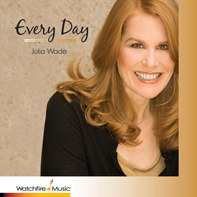 This CD is a gift to the world-wide community of Inspirational seekers commemorating Julia Wade’s seven years as Soloist at the International Headquarters of the Christian Science church in Boston. If you are a soloist or musical director, the songs from Solos are now available in digital sheet music (DSM) as single titles. Also! Get Solos BUNDLED with DSM titles. Solos, bundled with digital sheet music, created for soloists replete with performance/accompaniment tracks and study tracks, constitutes an entire package for selection, study, rehearsal and performance. We hope you gain great healing inspiration from these iconic, timeless truths set to innovative and uplifting music.